There’s a certain style of fiction that I like to call “the airport book.” They’re typically mass-market paperbacks that you pick up at the airport and read the majority of on a plane or on a beach. They have a dozen or so twists and turns, could have been written by James Patterson or Dean Koontz, and satisfy a need for a solid mystery that’s so far removed from your ordinary life that it might as well be sci-fi. Some call them guilty pleasures, but this kind of fiction is actually much harder to pull off than it’s often given credit for—requiring a keen sense of timing in its mystery reveals and complex plotting. The second season of “The Missing,” premiering on Starz this Sunday night, is an excellent airport book. It’s an engaging mystery full of twists and turns that may not make complete sense when all put together, but moves quickly enough that you don’t care as it’s unfolding. Mystery fans shouldn’t miss it. The first season of “The Missing” had an element of mystery, for sure, but was more about the ripple effect of the kidnapping of a child—what it does to the parents, investigators, and even the locals in the town in which it happens. The second season of “The Missing” is more directly a genre piece, a mystery about hidden agendas, identities and secret pasts. As such, it’s slightly less rewarding in terms of character drama, and doesn’t have a performance like James Nesbitt’s emotional turn from season one, but it's more riveting in terms of mystery. However, it does have a returning character. Tcheky Karyo returns as Julien Baptiste, the French detective who led the investigation in season one. He’s drawn into a harrowing case when a young lady comes out of the woods in Germany claiming to be Alice Webster, who disappeared 11 years ago. She also mumbles a name on her way into the ambulance—Sophie Giroux—that of another missing girl investigated by Baptiste. Was Sophie kidnapped with Alice? Could Sophie still be alive? Alice says that there was another girl where she was held prisoner, but that she was weak. Time is of the essence. “The Missing” jumps several timeframes, taking place primarily in the days and weeks after Alice’s return in 2014 and then a few years later in “present day” (with later flashbacks to much earlier than 2014). The latter timeframe is a personal disaster for the Websters, the opposite of the happy family you’d think would arise from Alice’s return. 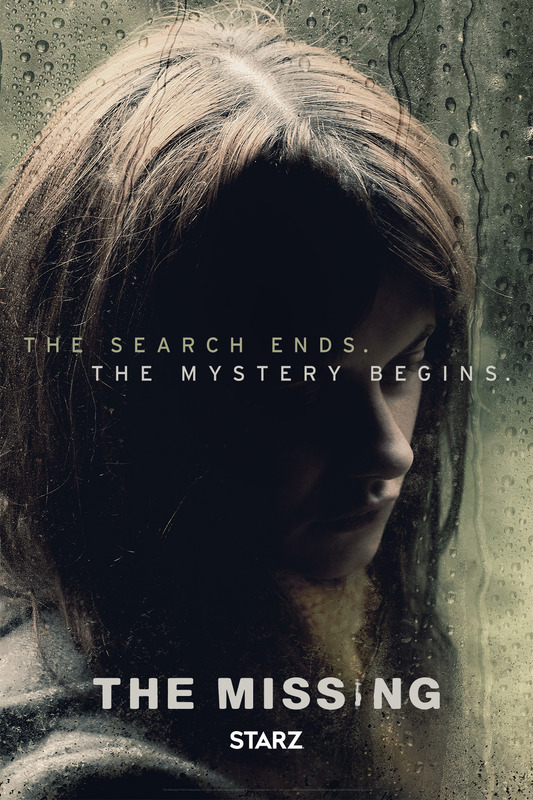 In fact, the Websters are torn apart, and much of the mystery of “The Missing” in the first half of the season comes down to connecting the dots. For example, Mr. Webster (David Morrissey) has a horrific burn in “present day,” so we know that scene is coming. He’s also split from his wife (Keeley Hawes) and is cheating on her with the investigator (the great Laura Fraser) of the crime. And the fact that said investigator is very pregnant in 2014 scenes and has no baby in the present-day ones lends some understandable tension as to what exactly happens there. It also allows the writers to play mysteries with motivation. We learn why characters who seem to get along in 2014 hate each other in present day. The structure makes the mystery of what happened after Alice returned as hazy as what happened while she was gone, and the drama has undeniable echoes of “Room,” at least for the first few episodes. Of course, it’s no spoiler to say that things are not what they seem. Alice has secrets. And they send Baptiste and the rest of these characters literally around the world to try to figure out the truth about what happened to Alice and Sophie. Some of the reveals require a heady dose of suspension of disbelief, but the plotting is so tight and the performances are so solid throughout that you won’t mind. Looking back on it, a narrative that finds a way to incorporate the Iraq War, Alzheimer’s, Cancer, infidelity, and pedophilia should feel more manipulative and soapier, but Karyo, Morrissey, Hawes, and Fraser play it straight, keeping the plot humming from scene to scene. And it will be an easy show to binge (which you can, starting Sunday on Starz website) because every episode ends with something of a cliffhanger reveal (my favorite being the end of episode six, at which I wanted to take a break but the last line is literally something like “let me tell you everything I know.”) It’s that kind of quick-witted mystery storytelling that allows “The Missing” to stand out against other pulpy whodunits. It keeps you guessing, and keeps you watching.